Having a cup of tea or coffee by your side is a surefire way to make any nice event even nicer. A tea or coffee is at once warming and soothing, while at the same time helping to wake you up and keep you active and focused. For these reasons either is perfect first thing in the morning while you’re feeling tired and groggy and when you need waking up, or while you’re working to help make the experience more pleasant and give you more focus and drive while doing your work. But it’s not all perfect and there are some downsides to caffeine too. It’s a stimulant so that means that it can make you jittery, can cause headaches in some people and can keep you awake at night. Then there’s the fact that it speeds up your heart rate and this means that if you are suffering from heart problems or circulation problems it can be quite dangerous. At the same time if you take the caffeine before exercise it can speed your heart rate to a somewhat dangerous level. Lastly though, one of the downsides of caffeine is that it can cause dehydration. If you’ve come in from the sun then and are feeling like you’re gasping for water, then drinking coffee or tea just won’t help you. In fact it will make the problem worse and make you thirstier. This also means that it’s not perfect for if you’re drunk or hungover. Too many people think of caffeine as a solution to a hangover or a heavy night out and use it to try and sober up. In many ways this works as the stimulant counteracts the drowsiness caused alcohol which is a depressant. At the same time though, when you’re drunk or hungover part of the problem is dehydration. Alcohol is a diuretic too, and so by drinking lots of alcohol you end up urinating more (hence why it’s called being ‘pissed’) and that then drains your brain of the fluids and nutrients it needs to perform. Though on the plus side caffeine will help you to drain the alcohol from your system faster by making you use the toilet even more. That said though, some studies are now calling into question just how much of a diuretic caffeine really is, and recent research has suggested that it may be no more diuretic than water. Of course taking in any fluid is always going to make you urinate more. 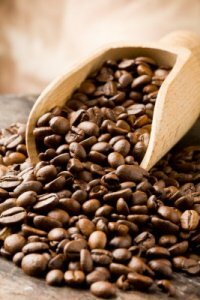 Why Is Caffeine a Diuretic? If caffeine is a diuretic then it will cause you dehydration – it causes you to urinate more so that you lose more fluids than you gain from the drink. While you might manage to quench your thirst in the short term, and while you may feel better to begin with, as time goes on you will find yourself feeling more dehydrated than when you started. The question is though, how does caffeine act on the body in order to make you need the toilet? Essentially this works because caffeine is a xanthine drug which puts it in the same category as theobromine and theophylline. Caffeine acts particularly strongly on the central nervous system and skeletal muscles. It can inhibit phosphodiesterase which is an important enzyme useful for breaking down cyclic 3-5 adenosine monophosphate – because it has a ‘phosphodiester bond’. At the same time it will also cause vasodilation increasing blood flow including blood flow to the kidneys. This cyclic adenosine monophosphate, also called cAMP is a messenger used to send signals throughout the body, to transfer the effects of hormones etc. Specifically it is involved in the regulation of glycogen and sugar and lipid metabolism. This can also stimulate the role of the kidneys and thus cause diuretic effects. Then there is the simple fact that caffeine is a foreign substance in the body that will be cleared out by the kidneys and expelled – in just the same way that the body tries to rid itself of alcohol or of excess sugar. Whether this is enough to cause real notable diuretic effects is uncertain. However that is not the only process by which it might lead to dehydration. There are other ways that caffeine can lead to dehydration. For instance if you drink too much caffeine this raises the metabolism which increases the rate at which the body burns fat and builds muscle tissue. This increases the body’s temperature and uses up water and means that everything occurs faster. In other words you will begin to ‘burn off’ the water you have had previously faster and you might even begin to notice perspiration which is another way we can lose important fluids. This quicker metabolism also means that water you do drink will pass through your system faster and that means that you will lose more fluids more quickly making you thirstier. So in these ways, caffeine is likely to lead to dehydration when taken in excess. So it’s uncertain just how much of a diuretic tea and coffee are, and yet there are several different ways in which they could cause dehydration. At the same time most of us would state that from personal experience caffeine just doesn’t seem to hydrate us in the same way that a glass of water does (though this may also be to the temperature, placebo effect and the fact that we drink it more slowly). It’s important then to bear this in mind when drinking tea and to choose water over tea when you’re very thirsty or dehydrated. If someone is suffering from heat stroke do not give them tea. If you use tea or coffee for a hangover then this is best used alongside a nice cold glass of water. For the most part though tea and coffee when had in moderation will be relatively harmless. If you are concerned about the diuretic effects it might have, then just be sure to keep plenty of water to hand, to drink it in moderation (advisable anyway to avoid addiction) and to put a little extra milk in your drink. Failing this there are plenty of caffeine-free versions of tea and coffee you can enjoy. The diuretic properties have been disproved many times in the last 10 years or so, in controlled studies. This article serves to perpetuate a myth. I agree with jp. This is false information. Why not put up an article about not swimming after eating while you're at it? New information for me. Will be more conscious of balancing water with caffeine.